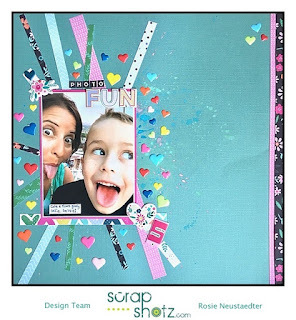 The latest Scrap Shotz kit is being compiled as we speak! For the first time ever, in a Scrap Shotz kit, we are featuring Tim Holtz with his brand new paper release, Memoranda. For the first time ever, we are featuring Tim Holtz! His new paper release, called Memoranda, will form the base of this kit. You will receive half the paper pad ( so 18 double sided sheets), with the option to buy a full pad. 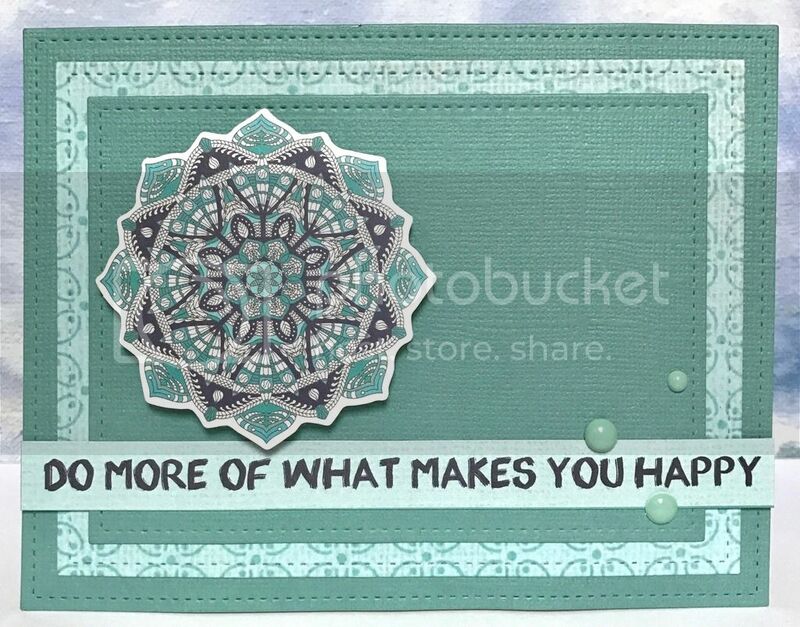 Also includes 8 cardstock, full packs of quote tiles, ephemera, 2 sets of alpha stickers, clippings stickers, and I am just working on a few small metal embellishments, plus a new color of Ranger Pearls. Single kits, if there any left, will be available for 40.95, starting on March 21st. Some kit products shown! There are some items you can add-on to your kit if you are a kit subscriber and if you are not a kit subscriber you can lay claim to any of these add on items after the 21st of March, just click here and scroll down to the MAR 17 Kit Add On's. 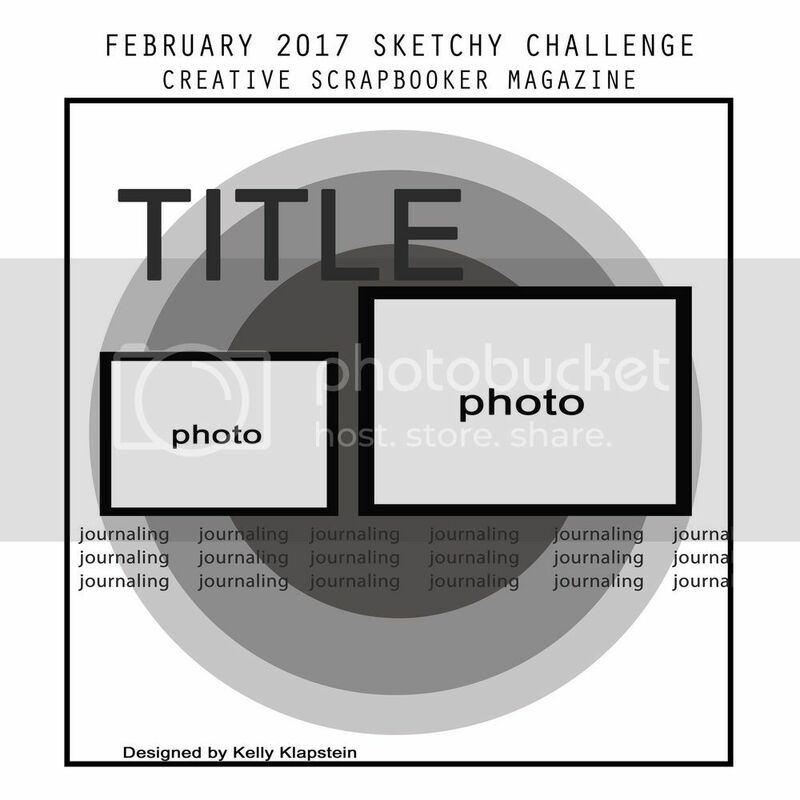 The Design Team will begin sharing their projects on Instagram and here on the blog later in the month and the first week in April. The team gets their kit at the same time as kit subscribers :). If you have any questions regarding this month's kit please contact Sandy. 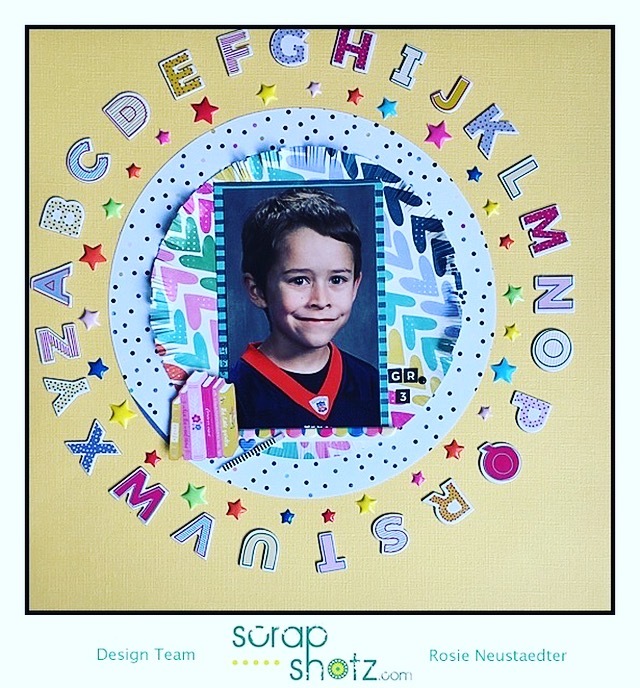 First Ever Scrap Shotz Class! 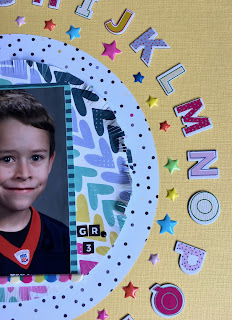 How about an evening exploring some fun mixed media techniques. Have you wanted to try distress crayons? Or do have them and they are buried in your stash? In this class I’m all about making a mess, getting inky fingers and sending you home with some fun techniques and a canvas. 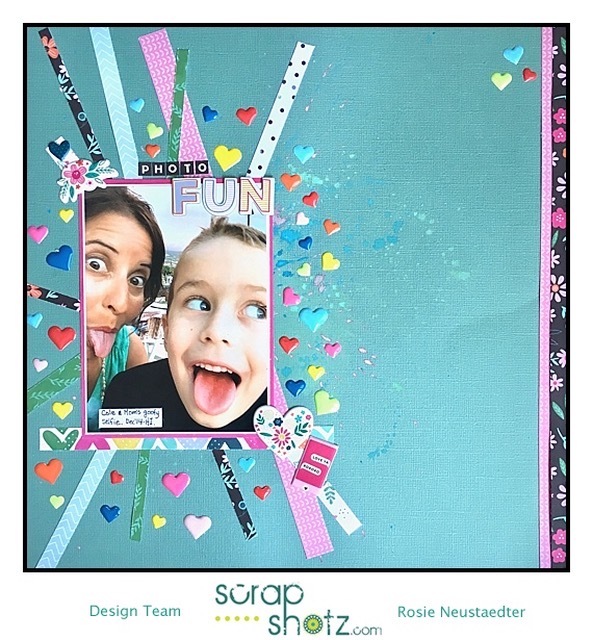 You can apply what you learn in this class to your scrapbook layouts, cards and tags. We will also have some draw prizes!! Added bonus… The class will be taking place during our open shopping event! So shop before or after when you fall in love with the product and the confidence to use it. If you have white gesso, texture paste, mat medium or collage glue, spatula, baby wipes, distress ink (brown), distress crayons black soot, vintage photo, pumice stone, cracked pistachio or any colours you like. I will have everything you need and more. But if you have your own please bring it to cut down on wait time. Want to learn more about me and what I create? Check out my blog at www.nicolewrightdesign.com. Contact me if you have any questions, nicole.jeep@gmail.com. As promised we have some more cards created by Lorraine with the Scrap Shotz January 2017 monthly kit. 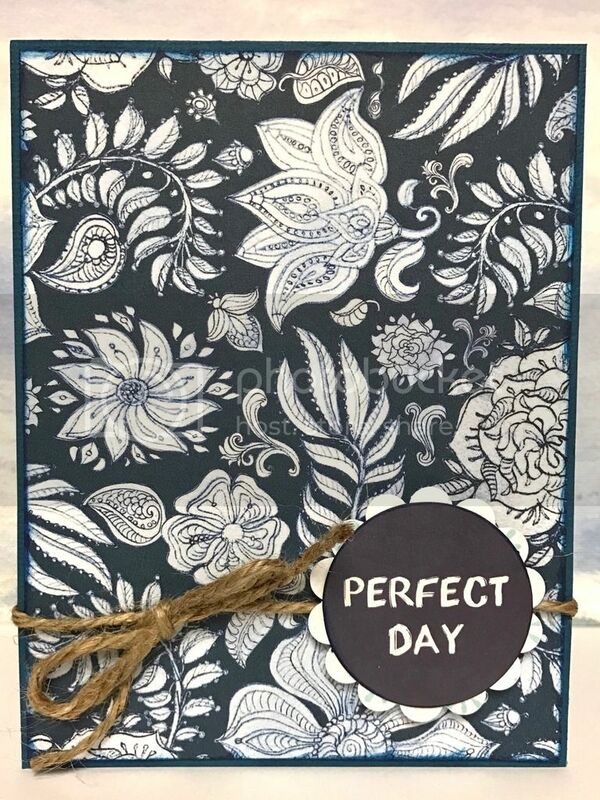 Here's another great patterned paper that makes a stunning card with the addition of simple accents, twine, a die cut and enamel dots. Multiple Lawn Fawn Stitched Rectangle Die cuts create lots of layers and dimension. 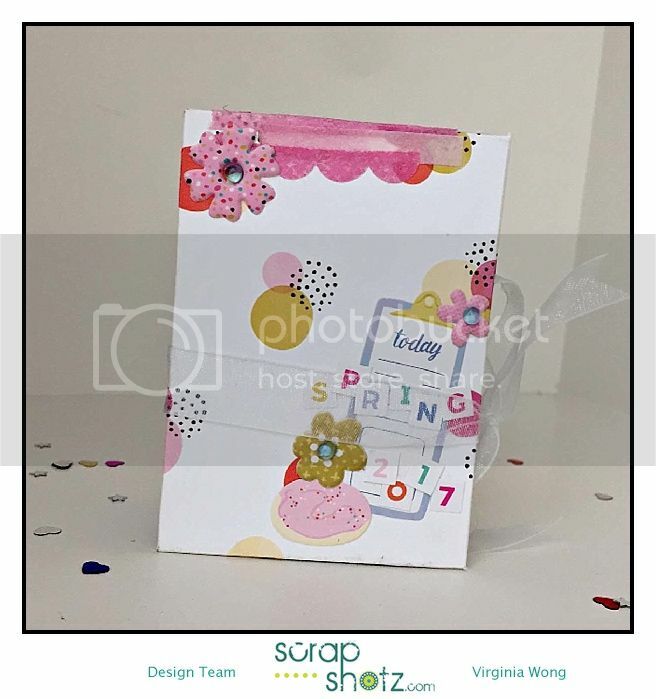 The kit die cuts and enamel dots complete this pretty card. 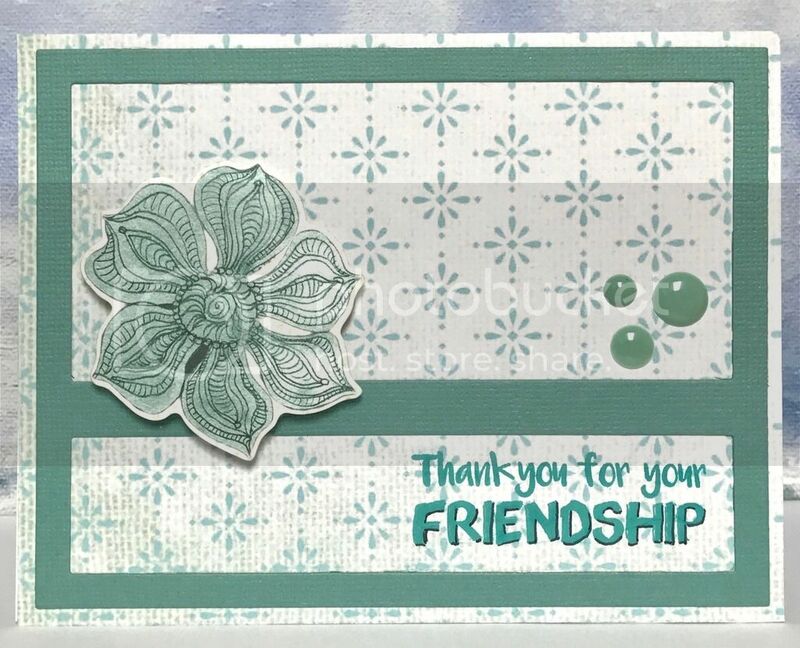 A mix of patterns and clear crystal drops create an interesting mix of textures on this card. 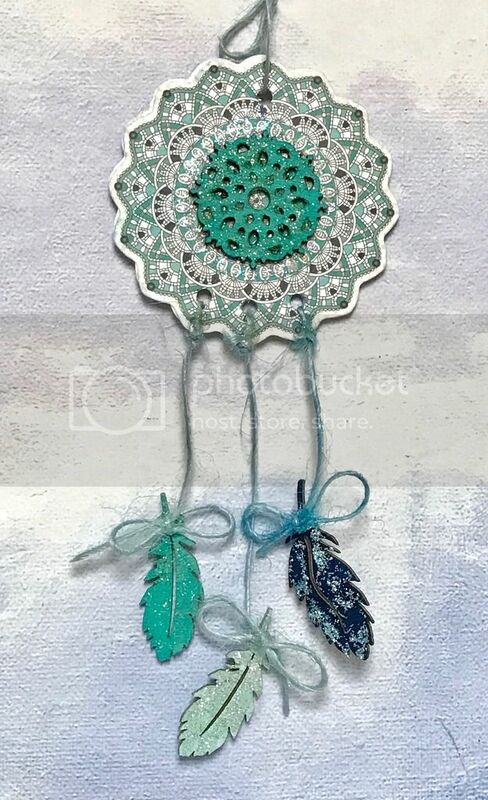 This hand crafted dream catcher is stunning and a creative use of kit chipboard, twine and the add on wood feathers. 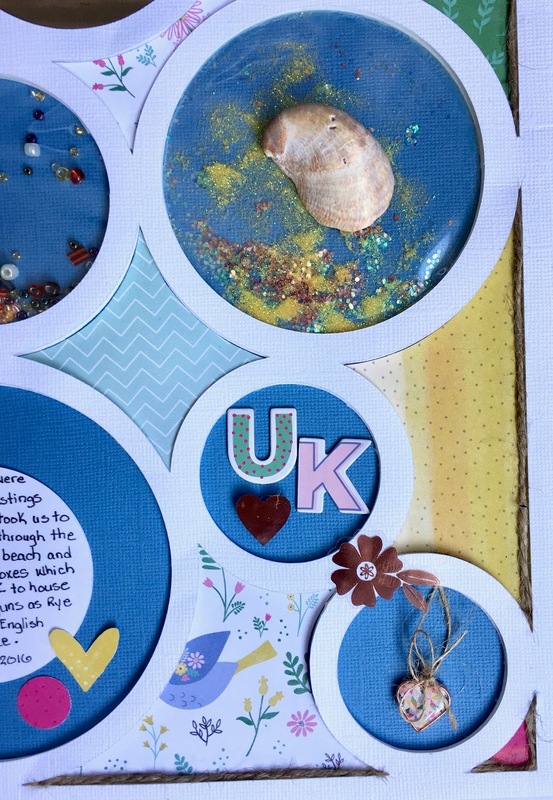 Thank you Lorraine for sharing all these wonderful projects. 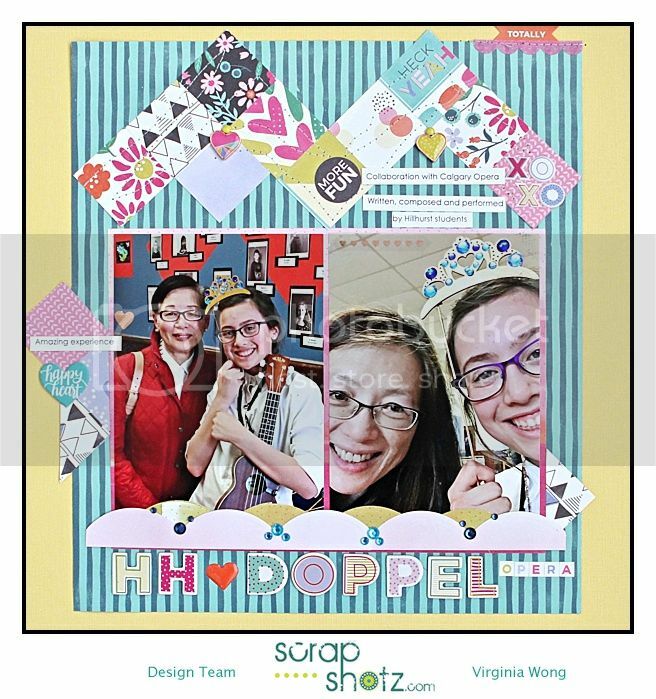 Welcome here and to some wonderful cards, courtesy of Creative Team member Lorraine Melin, featuring the January 2017 Scrap Shotz Sweet Dreams kit. 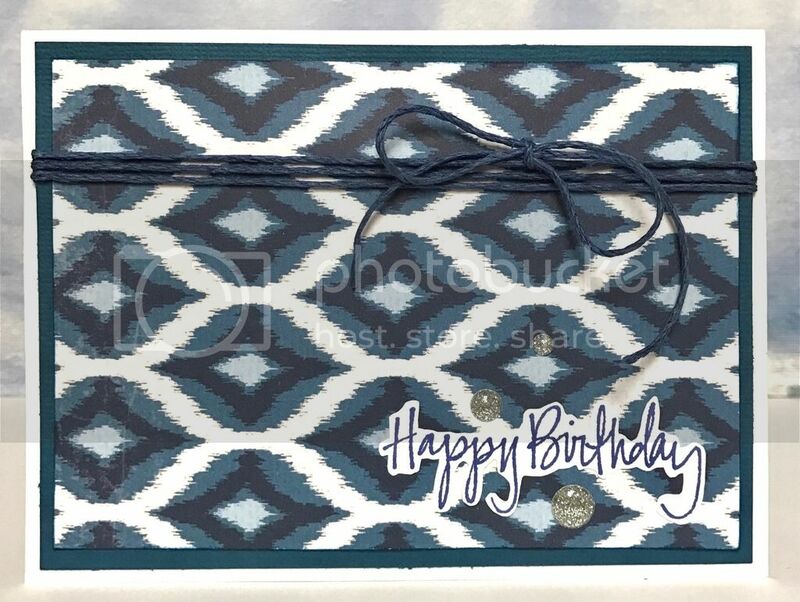 This is a simple yet lovely card, Lorraine shows off this patterned paper with simple accents, the twine and die cut. This cute coloured image pops on the the soft blue green of the paper. 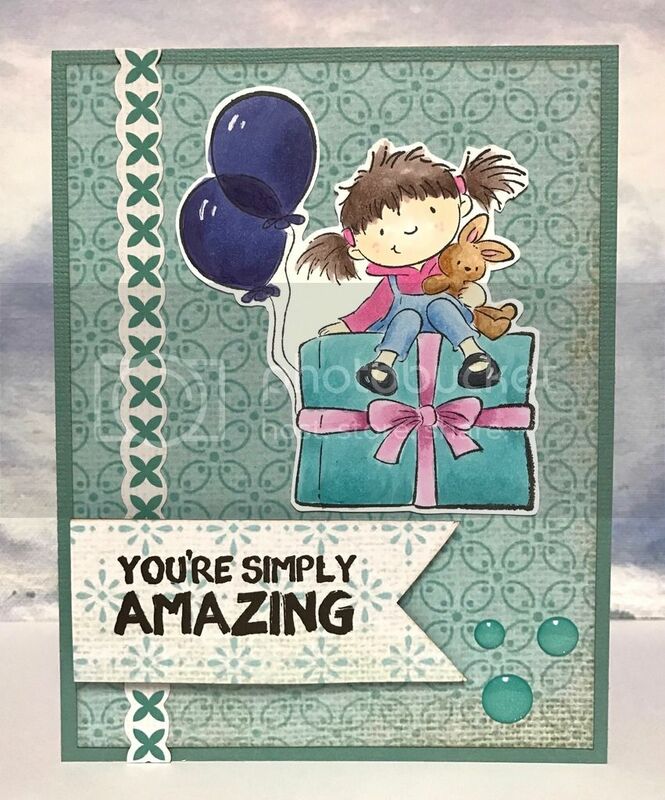 The My Favourite Things Essential Cover up Horizontal die is used on this card and Lorraine added a unique detail to the sentiment, sketching around "friendship" to create a shadow. 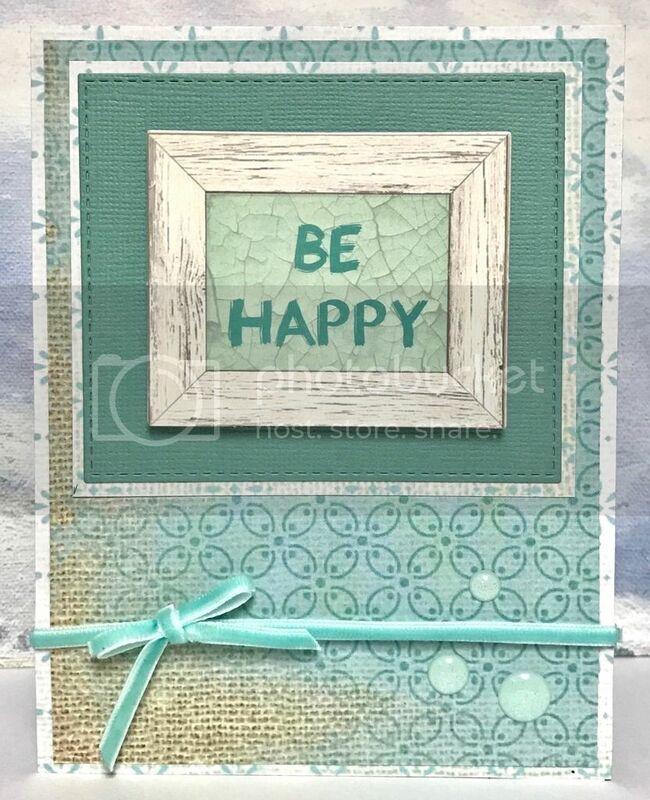 The Lawn Fawn Stitched Rectangle die provides the perfect place for the sentiment. 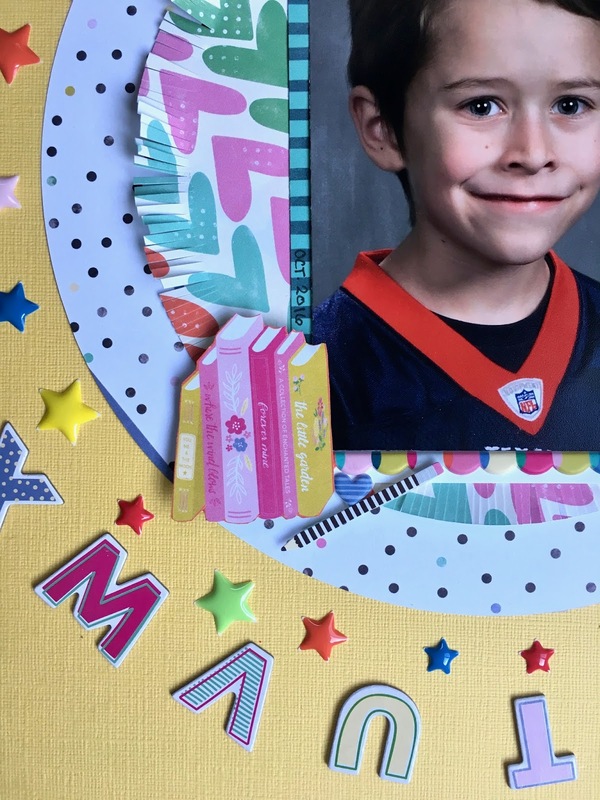 The inside panel from the MFT Cover up Vertical die and layers of patterned paper provide an eye catching frame for the die cut sentiment. 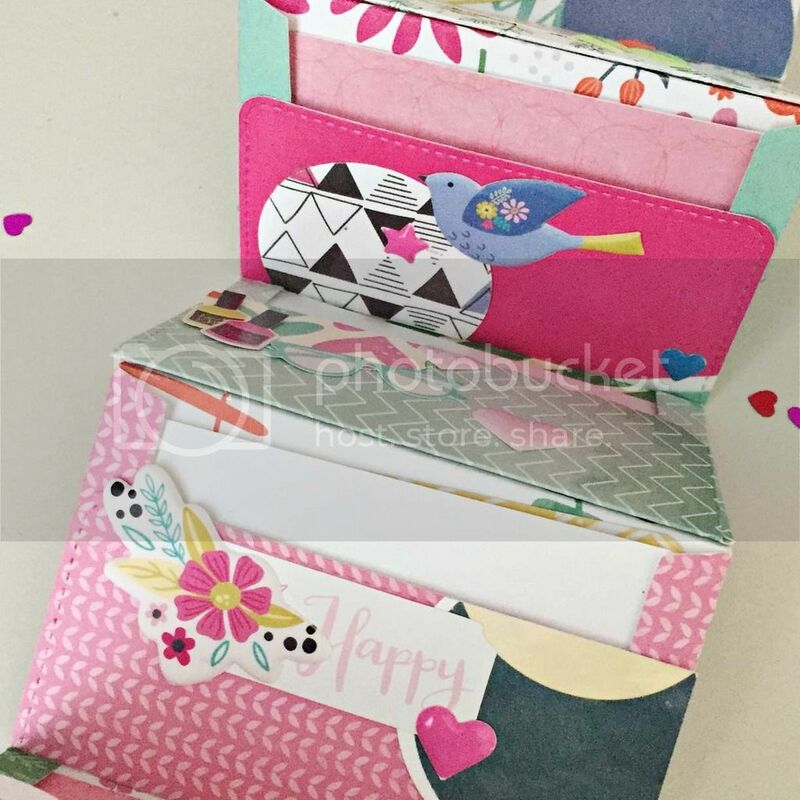 So much inspiration in these cards, bookmark us or keep checking back, we've got more of Lorraine's fabulous cards coming to the blog! 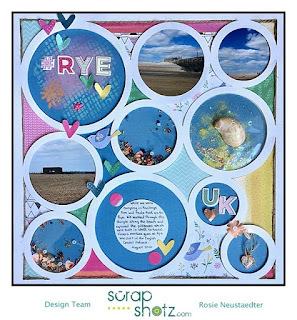 Welcome back for the final round of Creative Team projects using the fabulous Scrap Shotz February 2017 kit. 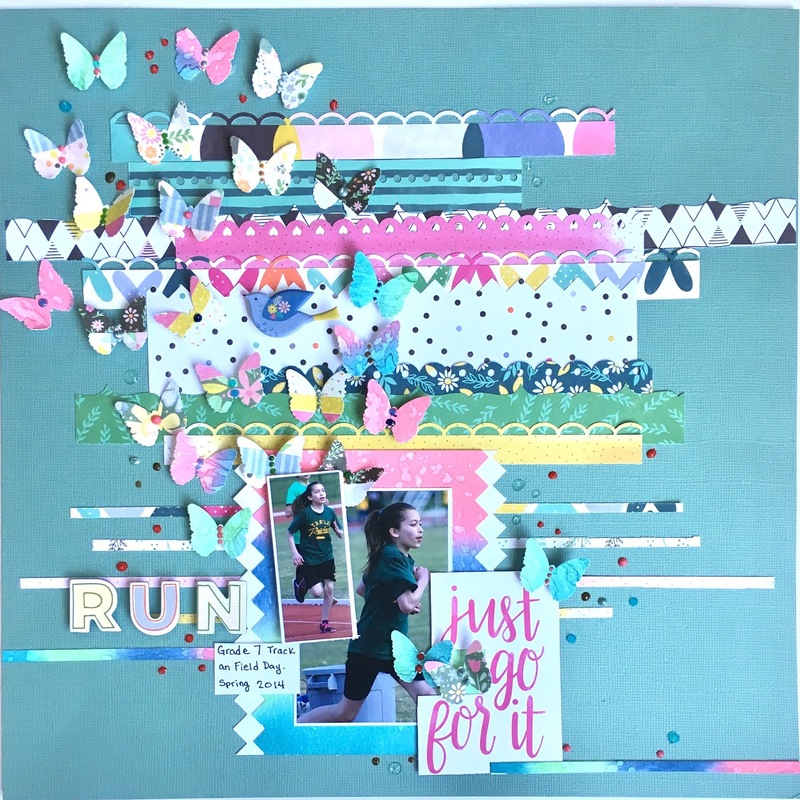 Virginia has used 8+ patterns on this layout, choosing one main pattern and then cutting the others into small squares so they do not overwhelm the main pattern and photo block. So sweet how she accented the tiara with enamel dots. Virginia did a lot of fussy cutting on this layout spotlighting a fun vacation memory. 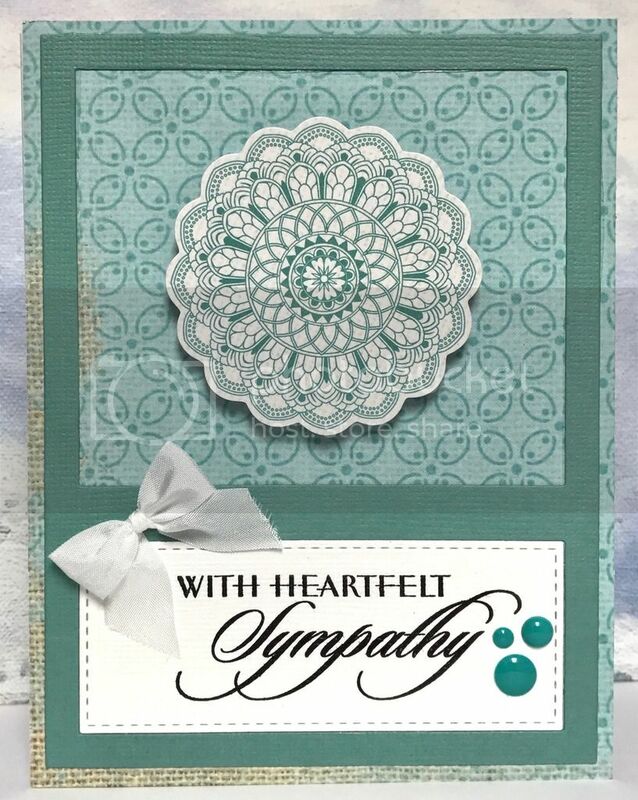 The hearts and circles are all fussy cut from kit patterned paper. 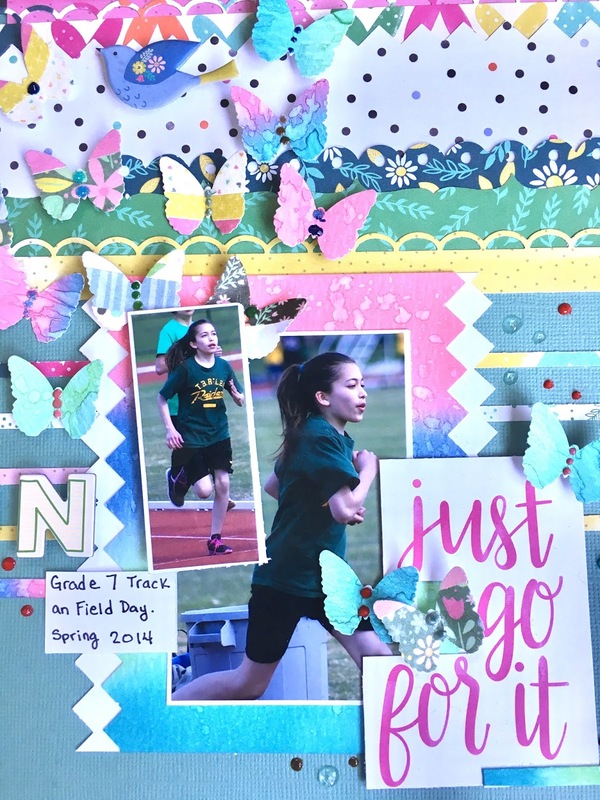 Machine stitching provides the perfect accent to this whimsical layout. 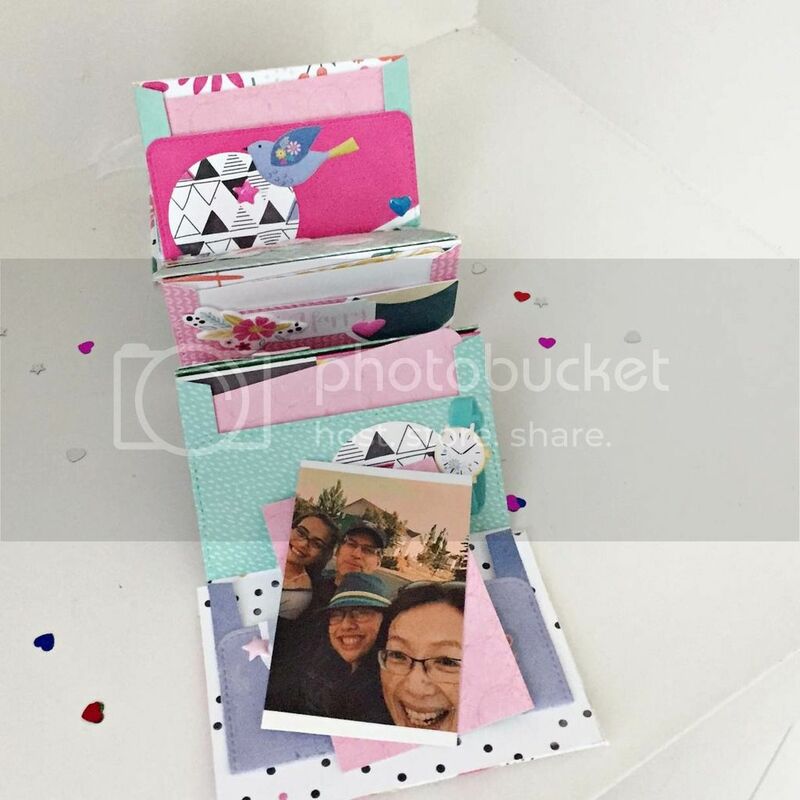 A double page layout can accommodate a large number photos and journaling or provide the backdrop for lots of journaling and photos as seen in the following spread. 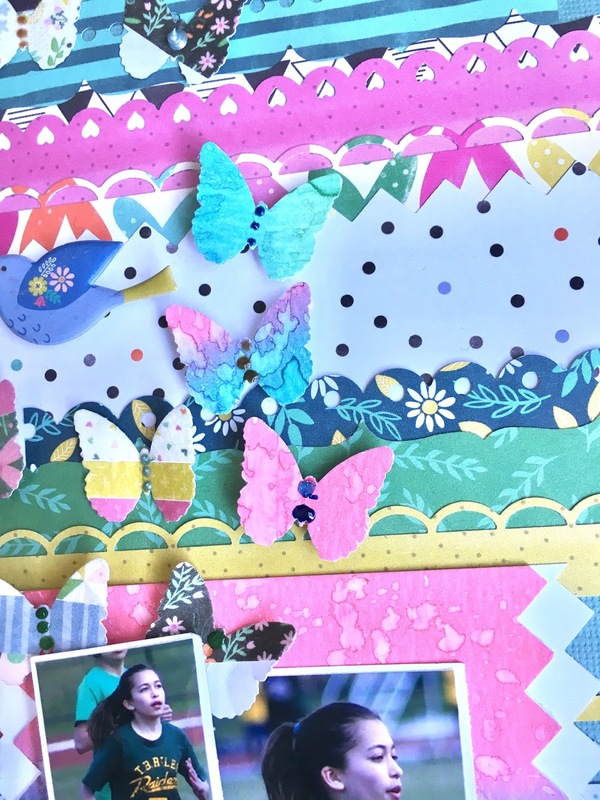 The left hand page is the base for the large journal card and the sweet cloud accents. 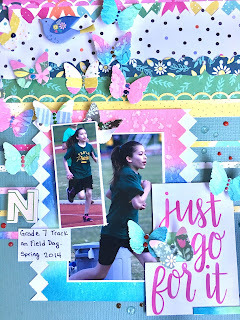 The right page shows off some great up close and action photos Virginia's field hockey player. The fussy cut fox is such a cute addition to the page. A plethora of odd size papers from the previous layouts provided Virginia's inspiration for this mini book. 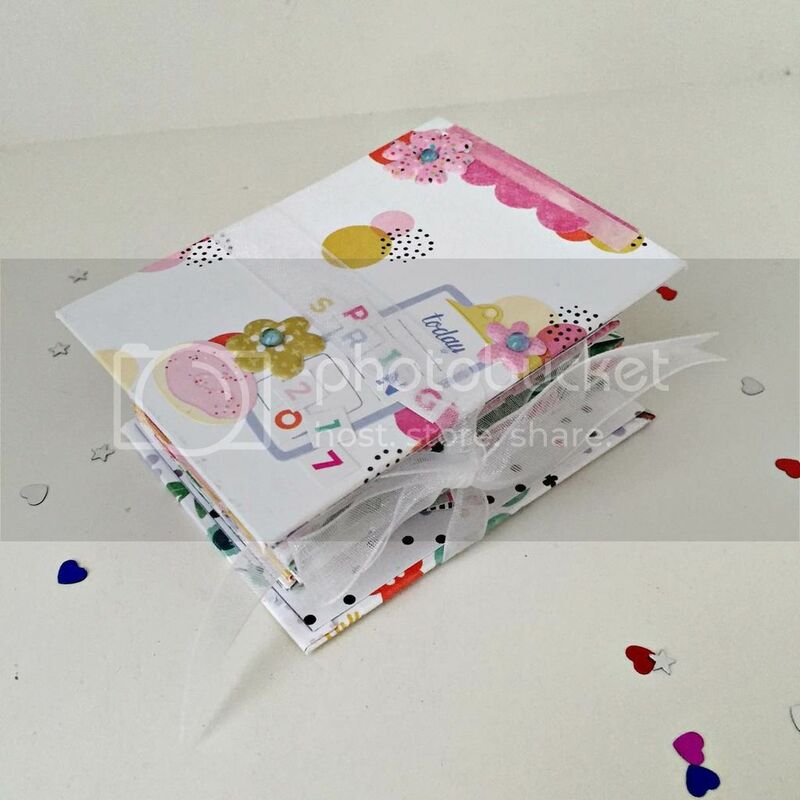 The papers were made into envelopes with the Lawn Fawn envelope die and used as pages for this mini album and embellished with kit puffy stickers and fussy cut words. The mini book is held closed with ribbon. 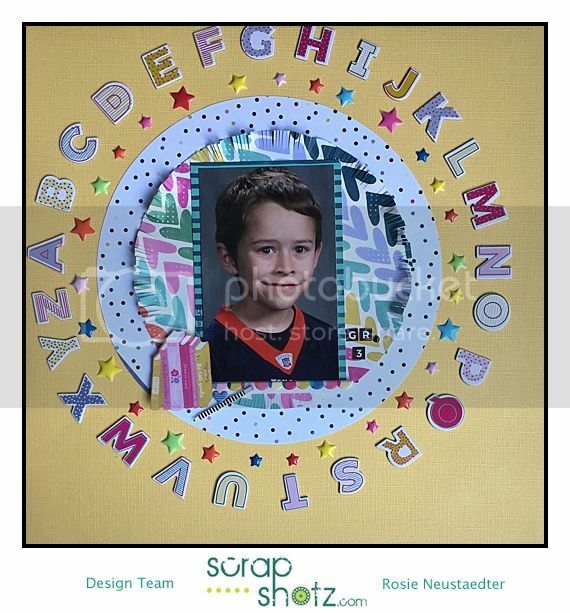 The large circles are perfect for these special photos and the depth created by the shaker pockets backed with patterned paper and star sequins, add visual interest to this wonderful layout. 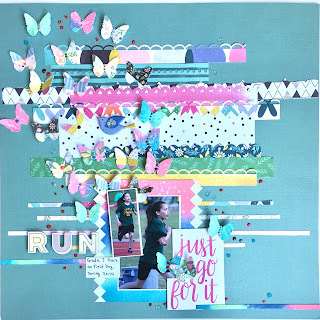 This layout echoes the title, it's #FAB YOU WOW!! Thanks for coming by and checking out the February 2017 kit projects. 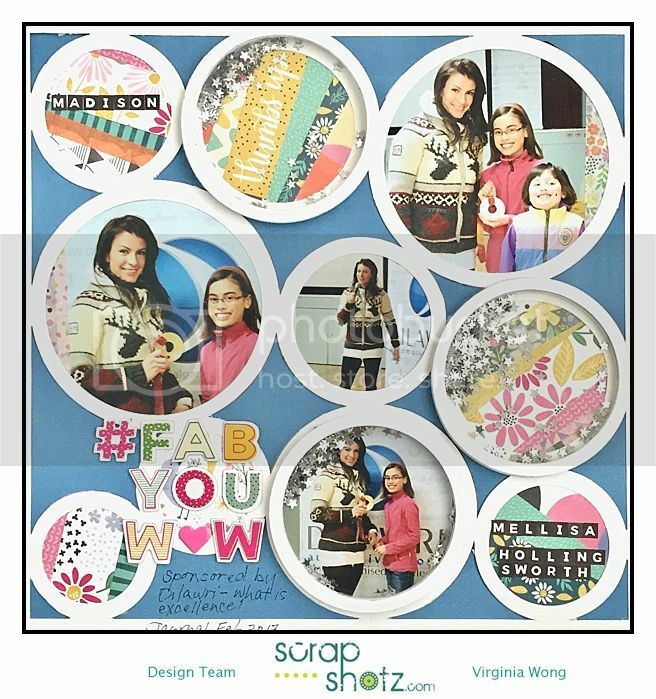 A pot lid was used as a template for the circular alpha border. Books are fussy cut from kit paper and pencil is adhered with foam tape. Circle mat directly under photo mat is hand cut fringe which I hope you can see fringe is gently curled upwards. Do you remember the American Crafts Knockouts Border punches? Yes I still have some, they survived my last craft purge because of their compact size. 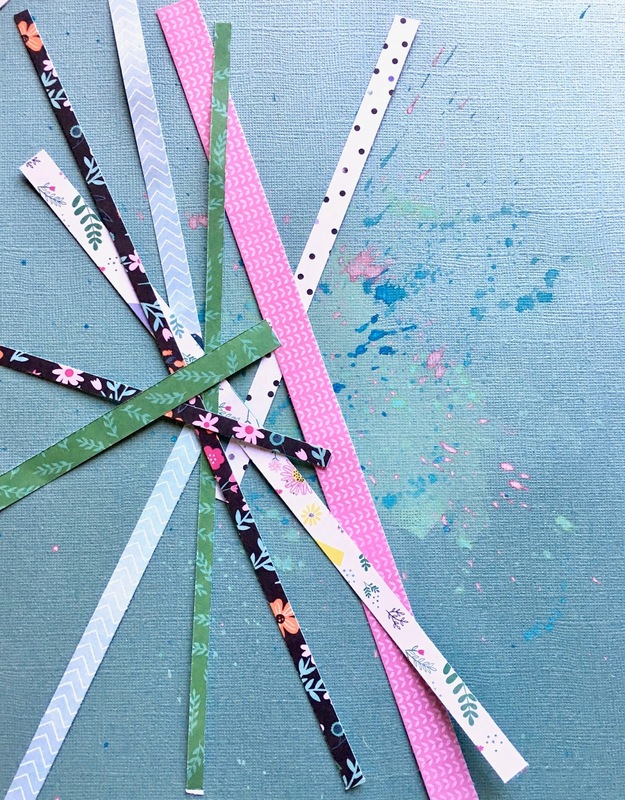 I used them to punch all borders after cutting various strips of patterned paper. Distress Oxide ink in Worn Lipstick, Broken China and Faded Jeans was applied to watercolour paper with a mini distress ink tool. I then flicked water on the paper and dried with a heat tool to activate the oxide effect. I love the soft shades of the oxide ink. 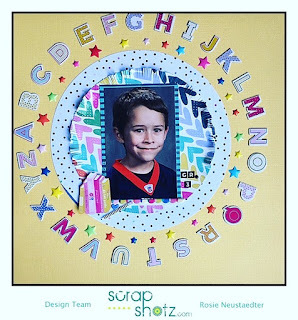 After trimming the photo mat and border punching the side edges I added a white punched border to make the photo mat pop. 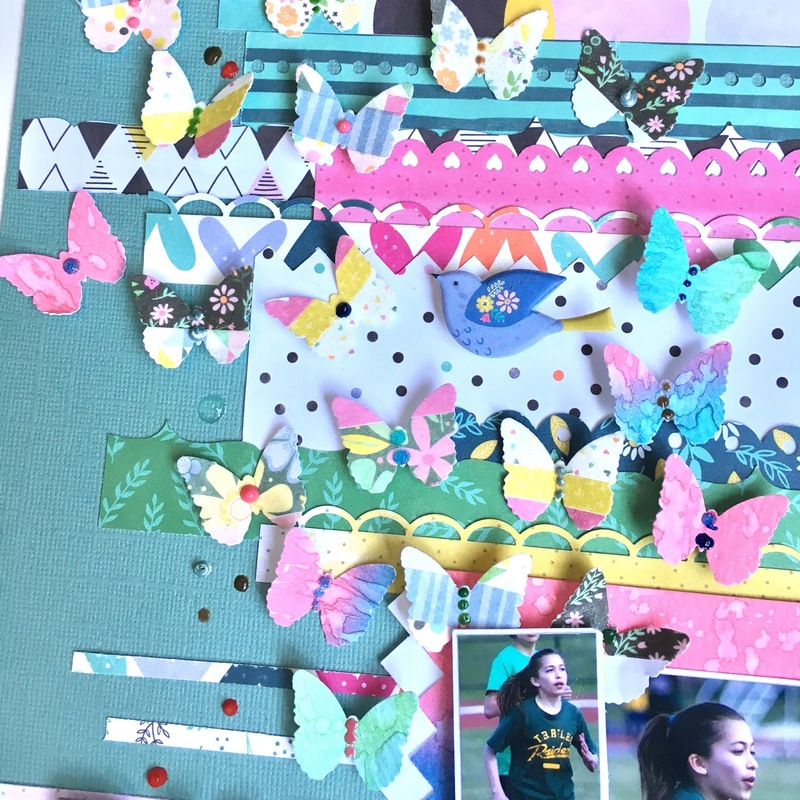 I punched butterflies out of the leftover inked watercolour paper, applied washi tape from the sticker pack to white card stock and punched butterflies from that as well. 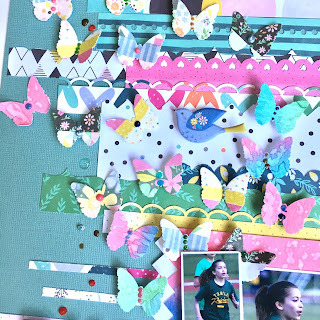 Butterflies are then accented with Nuvo Crystal and Glitter drops. 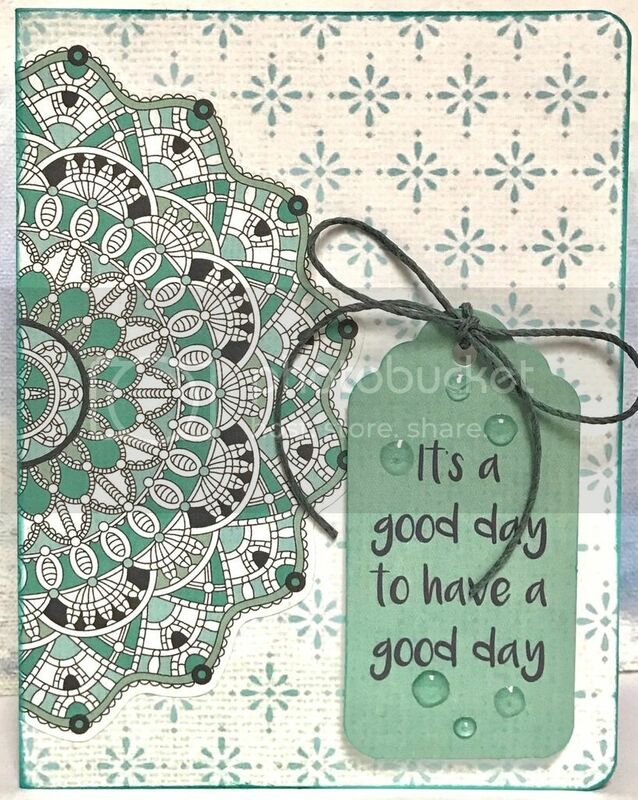 The new Tim Holtz Oxide inks were used in the top left circular cut out with a Tim Holtz stencil, kit stickers, alphas and fussy cut hearts from one of the patterned papers are adhered over the ink. These inks apply so smoothly. I used the die cut openings as photo frames, embellishment pockets and a journaling spot. 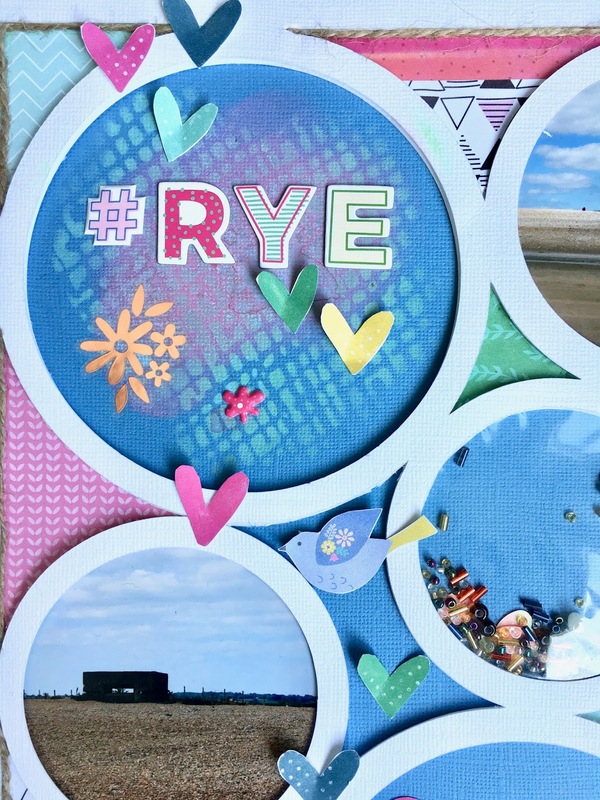 The large opening has a shell my son picked up on the beach in Rye, it's backed with an acetate pocket filled with glitter. For this next layout I had envisioned a sort of wash of watercolour using Distress Oxide ink but it wasn't looking so good on the first layer so I changed the plan and instead flicked the ink on with a paint brush. I smooshed the ink on a craft mat, dipped a paint brush in water, picked up the ink with the wet paint brush and then flicked it on the page. I used a heat tool to dry each colour of ink before moving on to the next one. Paper strips of varying sizes were layered over the ink. 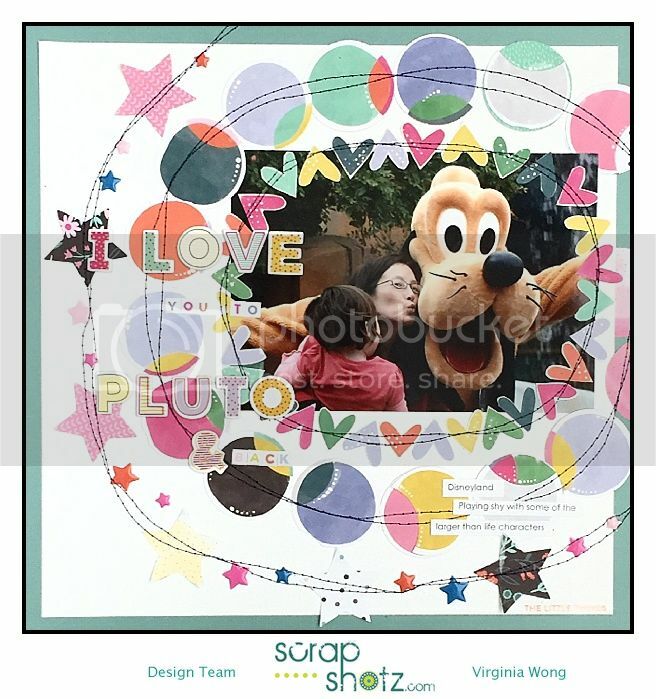 Here's the finished layout with the addition of stickers, alphas and a simple border strip on the right side to balance it all out. I hope you've enjoyed these projects and thanks for stopping in 😊!